Internally staggered core increases the surface area that the charge air passes through resulting in better volumetric efficiency and lowers intake air temperature. 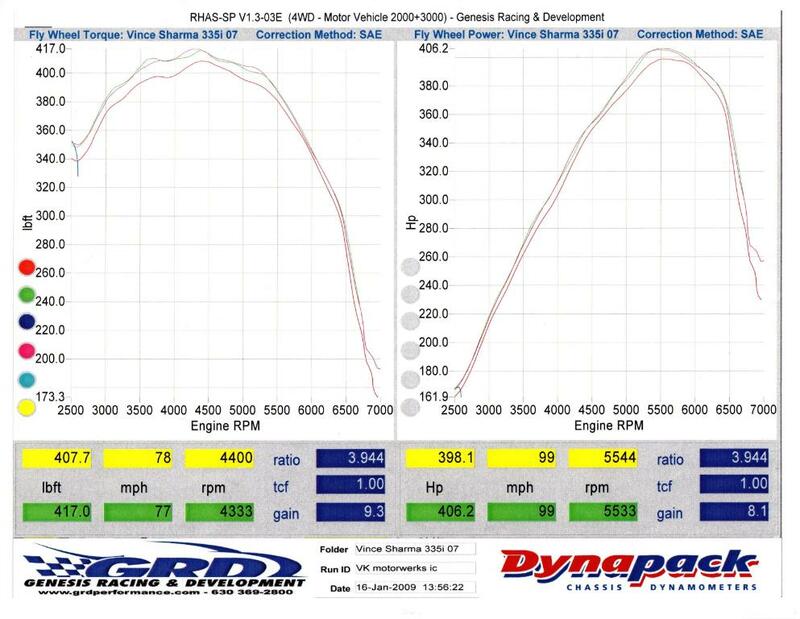 We had the opportunity to dyno our intercooler and compare it to the stock unit on a Dynapack dyno. You will notice that the stock IC requires and extra psi to achieve the power output of the VK IC. 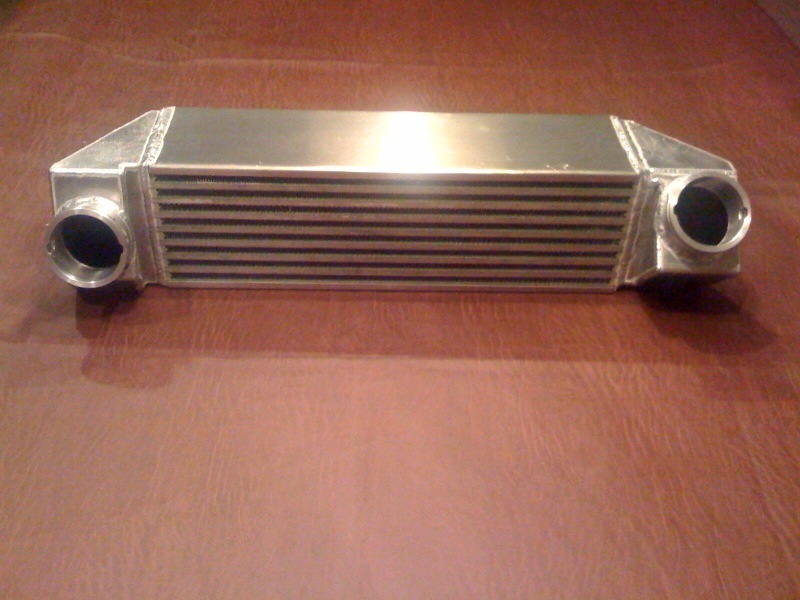 We only had time to do one pull with the stock intercooler and are sure that as more dyno pulls were performed the more boost will be needed to maintain the same power. No perimeters were changed between the two runs. All runs were done on the V3.1 1-05 stage 3 non-doomsday map. 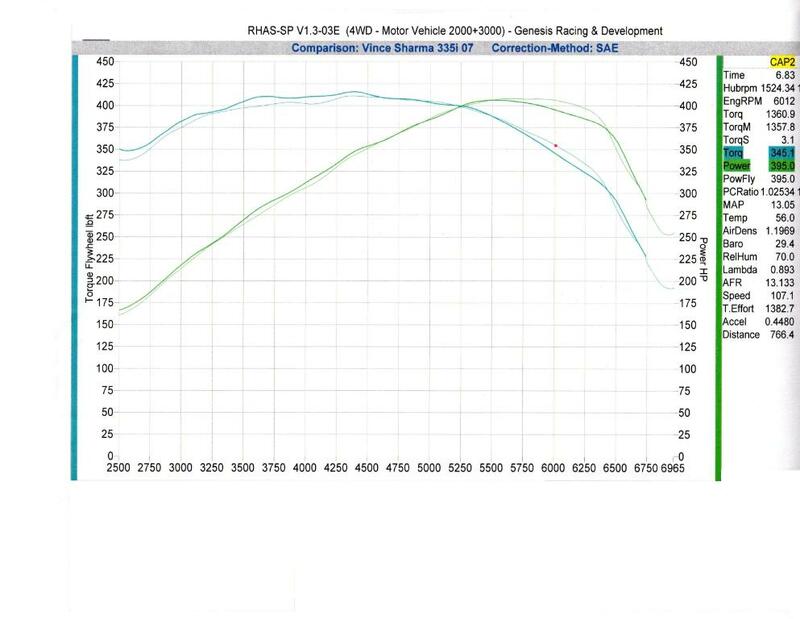 This Graph shows the boost comparison of both the stock vs VK IC. This is a hp and tq values of our VK IC runs. 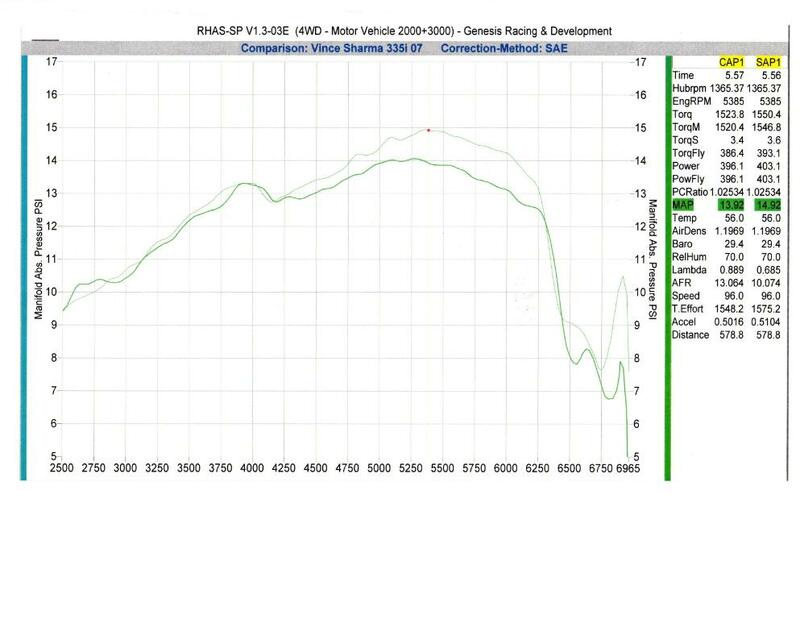 I dont know why the graph says: Flywheel hp and tq, the graphs are actually showing at the wheel power. Intro priced at only $580!